Create a special a fall facial special. Many professional brands offer pumpkin enzyme peels or masks. Check out a couple of our favorites. 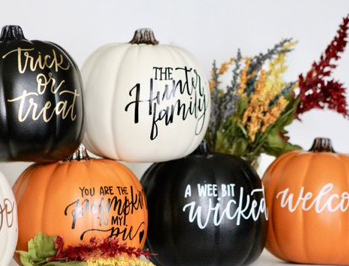 Get some fresh pumpkins or reusable pumpkins at your local craft store. You can embrace the inner artist and write you own festive phrases or you can find decals to share your message or monthly promotion. 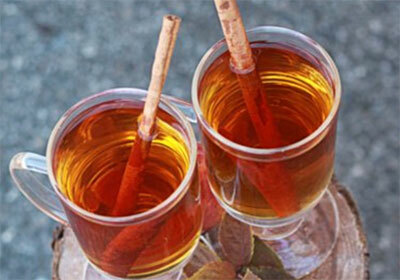 Instead of the same old tea, coffee and lemon water, try spiced, hot apple cider. The fragrance will make them feel at ease and quickly put them in the holiday spirit. How about offering a special at home skin care kit for anyone who refers a new client? After all it’s almost Thanksgiving. Cook on low until hot and spiced through, about 4 hours. Ladle into mugs along with an ounce or so of rum, if using. Place a cinnamon stick in each glass if desired and serve. * An organic orange is recommended, as it will be soaking in the cider for several hours. Click here to get the ASCP pumpkin carving template. We want to see your beautiful fall themed retail and client waiting areas. Post a picture of your specials and amazing space on Associated Skin Care Professionals Facebook page. One lucky winner will be chosen on October 31 and will receive a $50 Visa gift card.